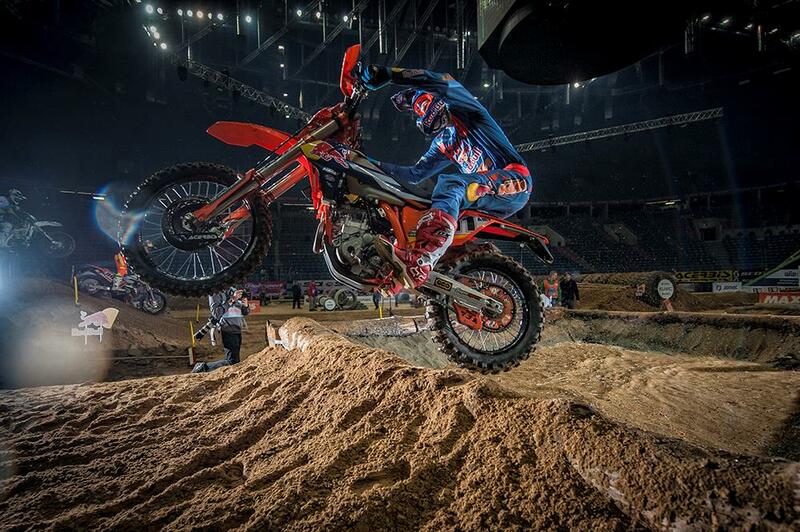 Enduro legend Taddy Blazusiak has finished his career in winning style, taking victory in the first round of the new SuperEnduro World Championship at home in Poland as his final competitive venture on two wheels. The win brings to an end a stunning career that has saw the KTM racer take five victories in the incredibly tough Erzbergrodeo, as well as dominating the SuperEnduro series in recent years with six world titles, five US championships and four gold medals at the X Games. And admitting after the night’s racing in front of 13,000 fans in Krakow’s Tauron Arena that he had worked hard to end his career on a high, it worked out for the 32-year-old with a dominant overall victory backed up with two out of three heat wins.